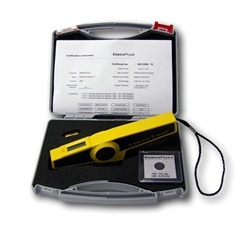 The MikroTest Digital G 7, uses the Magnetic Attraction principle to measure the thickness paint, powder coating and e-coat and plating applied over ferrous substrates. This digital version is truly a remarkable advancement in pull-off gauges with unmatched accuracy in this platform. The readings are electronically controlled and digitally displayed while still maintaining the Type I gauge classification.